The impacts of clubroot on susceptible canola cultivars are usually pretty obvious – the plants look drought-stricken and have large, irregular swellings (galls) on their roots. But the pathogen itself has remained somewhat enigmatic. Now a team of researchers mostly from Western Canada, led by Hossein Borhan and in collaboration with scientists from England and Poland, has sequenced the clubroot genome. This work is generating insights into the pathogen and how it functions, and is providing a springboard for future advances in clubroot management. The clubroot pathogen, Plasmodiophora brassicae, attacks plants in the Brassicaceae family, including canola, mustard, broccoli and cabbage. This unusual pathogen spends its complex, multi-stage life cycle hidden in the soil and inside plant cells. “Plasmodiophora brassicae was first described by the Russian biologist Mikhail Woronin in 1878 as the pathogen of clubroot disease. Since its discovery, there has been progress in understanding some aspects of the pathogen’s biology, such as its life cycle, infection and disease development, and the genetics of host resistance to clubroot. However, until recently we had very little knowledge about other aspects of the pathogen’s biology, such as its genome and genes that contribute to its virulence and growth in the host,” says Borhan, a research scientist with Agriculture and Agri-Food Canada (AAFC) in Saskatoon. Progress in understanding the pathogen has been slow mainly because Plasmodiophora brassicae is difficult to study. “The pathogen is an obligate parasite. That means it can only grow and reproduce when living inside the host plant. So we can’t culture it, we can’t do experiments in Petri dishes and so on that we can do with other pathogens,” explains Stephen Strelkov, a professor at the University of Alberta. Borhan adds, “It is one of the rare pathogens that is a multicellular pathogen that lives completely inside a plant cell. The majority of plant pathogens live either entirely between the cells or they produce feeding organs inside the cells, but they don’t reside completely inside the cell. Interestingly, clubroot is the only example I know of a eukaryotic pathogen that lives completely inside the cell.” Eukaryotes are organisms whose cells have a membrane-bound nucleus, unlike prokaryotes, such as bacteria, which don’t. Plasmodiophora brassicae belongs to a diverse group of eukaryotes called protists. To better understand this major pathogen, Borhan, Strelkov and the rest of their team, who were from various research agencies, started their clubroot genome study in about 2008. Fortunately Strelkov’s lab had prepared single-spore, purified isolates for all the clubroot pathotypes, or strains, known in Canada at that time – identified as pathotypes 2, 3, 5, 6 and 8. For the genome sequencing work, the samples for these five pathotypes were obtained from various parts of Canada. “Pathotypes 3 and 2 were single-spore isolates derived from Alberta samples, pathotypes 5 and 8 were from Ontario samples, and pathotype 6 came from British Columbia,” Strelkov notes. The researchers generated draft genomes for pathotype 3 and pathotype 6 because these two pathotypes have some significant differences from each other. “Pathotype 3 is one of the most important and virulent pathotypes on canola. It was the predominant pathotype on Canadian canola and the one that could cause the most disease on canola before resistant cultivars became available,” Strelkov explains. “Pathotype 6 is mainly a pathotype of cruciferous vegetables; it doesn’t do very much in terms of attacking canola.” The two pathotypes also differ in their geographical distribution: pathotype 3 is very prevalent on the Prairies, and pathotype 6 is mainly in Eastern Canada and British Columbia. The researchers also “re-sequenced” pathotypes 2, 5 and 8 to get a more complete picture of all the Canadian pathotypes. Resequencing refers to genome sequencing and assembly that uses a standard or reference genome as a template, so re-sequencing these other pathotypes was easier than creating the first draft genomes of pathotypes 3 and 6. The researchers used pathotype 3 as their reference genome for re-sequencing. They then studied the characteristics of the clubroot genome and determined how the pathotype genomes differed from each other. 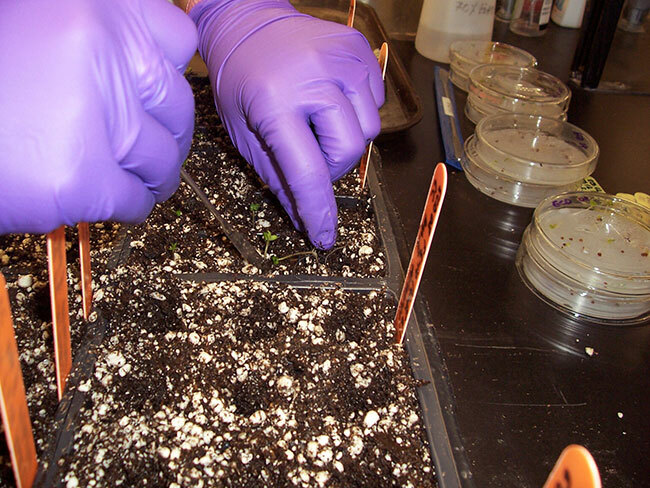 The researchers also did some RNA sequencing experiments to explore how the pathogen causes the disease in the host plant and how it takes nutrients from the host. For this work, they used two host species, Brassica napus (canola) and Arabidopsis thaliana(a small plant in the Brassicaceae family that has a small genome). Although a European group published a genome of a single clubroot isolate a few months before Borhan’s group published its genome work, the two groups were working in parallel. The sequencing work by Borhan’s group, which involved many more genomes, had already been completed when the European paper was published. One of the most important findings from this work was that clubroot has a small, compact genome. “The genome is about 24 megabase pairs, which is small compared to most eukaryote pathogens, like fungal pathogens of plants. For instance, the clubroot genome is roughly half the size of the blackleg genome, which is about 45 megabase pairs, and it is around one-tenth the size of some of the oomycete genomes like the pathogen that causes late blight of potato,” Borhan says. Their work also showed clubroot has about 11,000 genes – about the same number of genes as in the bigger genomes of fungal pathogens. Clubroot’s smaller genome is owed to the fact that it has relatively small spaces between the genes, called intergenic spaces, and a relatively low number of repeated DNA sequences, compared to many other organisms. Borhan explains intergenic spaces are important in gene regulation. Having such small intergenic spaces affects how the clubroot genes are regulated and how they are co-ordinated in terms of expression; for instance, it may mean there are overlapping regulatory sequences for multiple adjacent genes. Another discovery related to how the pathotype genomes differ from each other. “We looked at the profile of the mutations in the DNA across the genome – the profile of single nucleotide polymorphisms [SNP] – and we found that pathotypes 6 and 3 are strikingly different from each other,” Borhan explains. The researchers found the clubroot genome lacks genes for making thiamine (vitamin B1) and some amino acids. “It looks like the pathogen is completely dependent on its host to get these nutrients; it can’t synthesize them by itself. It helps to explain why the pathogen won’t grow on its own,” Strelkov says. Most of the funding for their clubroot genome sequencing work was from Agriculture and Agri-Food Canada through a program called the Canadian Crop Genomics initiative. The researchers also obtained some funding from Growing Forward 2 through collaboration with Alberta Agriculture and Forestry and the University of Alberta to study the virulence effectors. Borhan and Strelkov see various ways the information from this research could be used. In the short term, information about how one pathotype differs from another, such as the SNP profiles, could be used in developing molecular markers for pathotyping clubroot isolates. Markers would make it much easier for researchers to track changes in the pathogen strains, which would be very helpful for canola breeders and growers. Borhan and Strelkov believe the information from the clubroot genome opens up many possibilities for research that could lead to new ways to control the disease. For example, perhaps scientists could find a chemical or biocontrol option that would affect chitin or some other factor important to spore survival. 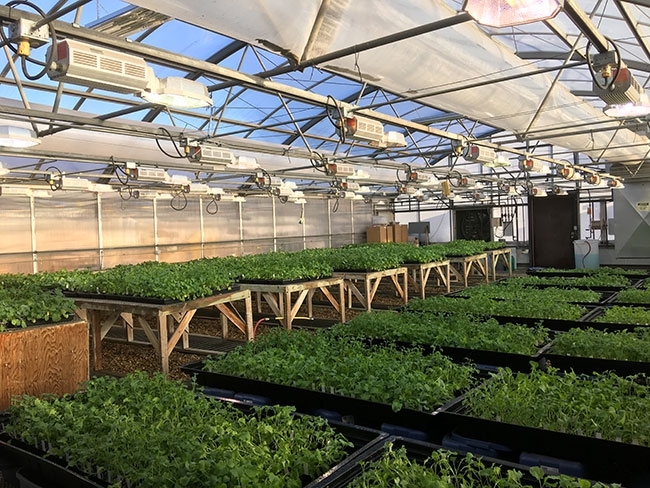 Or perhaps, as they learn more about the pathogen’s infection process, they might find ways to make changes in the host plant to disrupt that infection process, resulting in stronger and more sustainable disease resistance. “We hope that what we have generated will be a tool and resource for the research community in Canada and worldwide to tap into and learn more about the biology of clubroot and to come up with new ways of tackling the pathogen,” Borhan says.